At the Northern Lights Xperium® you join a unique and magical journey in space from the earth to the sun. 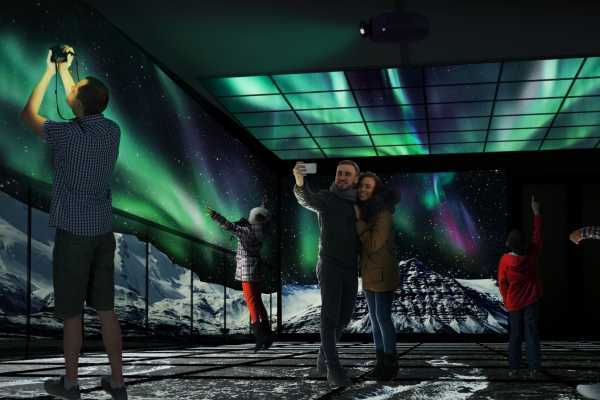 There you will experience the activity on the sun and learn about the origin of the Northern Lights. When billions of tons of particles are thrown out of the sun, you are transported by the solar storm at a speed of up to 8 million km/h towards earth. You are close by when the solar particles hit the earth's own magnetic field. You feel the magnetism and excitement when the sun particles collide with the Oxygen and Nitrogen in the atmosphere, and form the amazing Northern Lights. After landing in Oslo, this amazing journey continues across land and water, past fjords and mountains, and through the most spectacular natural attractions in Norway - in search of the Northern Lights. The pursuit of the Northern Light goes from south to north, from light to dark, and from summer to winter. Finally, the journey ends in the Arctic night and you will experience - close by - one of the world's finest and most magical natural phenomenas - the Northern Lights. Northern Lights Xperium® is the main attraction of the new Norway House in the center of Karl Johans gate in Oslo City Center. In Xperium® you are in the middle of what's happening around you. With the help of advanced viewing technology on floor, walls and ceiling, and by use of special effects like cold, heat and wind, you will not only see what happens - you are in the middle of it, and experience it close. See, feel and learn how one of the world's finest and magical light phenomenas are created! Let yourself be excited, marvelled and shocked! Feel the Magic! Welcome!